Hey all! 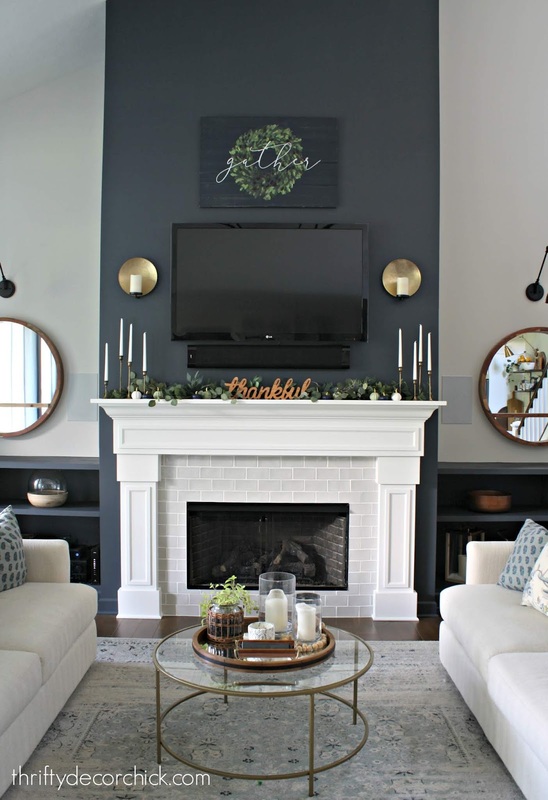 I'm back with a quick post to share our fall mantel. I haven't done any fall decorating in a long time so this was fun! I went with a different look this year and I think it's my favorite yet. It was probably the easiest yet too. It's more moody than I've ever done, but that's mostly because of the rich, dark color I painted the fireplace wall earlier this year. I paired eucalyptus with some fall colors earlier this month and loved the combo, so I decided to carry that around the house this season. I love it! I started with the simple pumpkin patch wreath for our front door. It took me all of ten minutes to throw all of this together...I started with a strand of eucalyptus I got from Target. (I'll include links at the bottom of the post!) 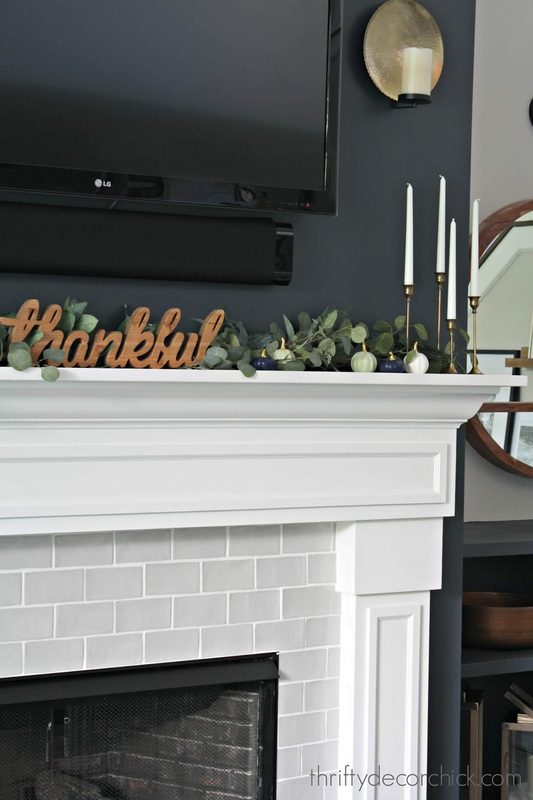 It's the Magnolia line and it filled in our long mantel well. I wanted it to be full and pretty so I filled in with the faux IKEA stuff as well. Are those tiny pumpkins not the cutest things you've ever seen? I found those at the Target dollar spot. They had blue, green, white and orange. I grabbed bunch and then on another trip grabbed a few more. I just placed them throughout the greenery. The thankful sign was from Michael's last year -- I'm not sure if they still carry it now. I found the gather/wreath art at Hobby Lobby last week. I know, I know!! I said I was going to avoid things with words on them. 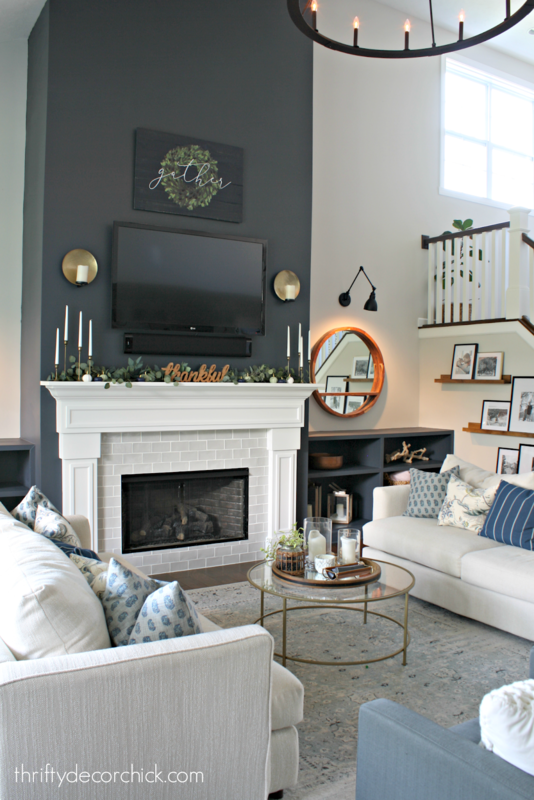 I love that it works perfectly with the colors in here, and that it nearly matches the wall color. I don't want it to stand out too much. I'm not 100 percent sure it will stay there though -- we are leaving it for now. Oh my gosh, you are my favorite. First, I LOVE the enthusiasm with which you do these things. It's so genuine and the best. 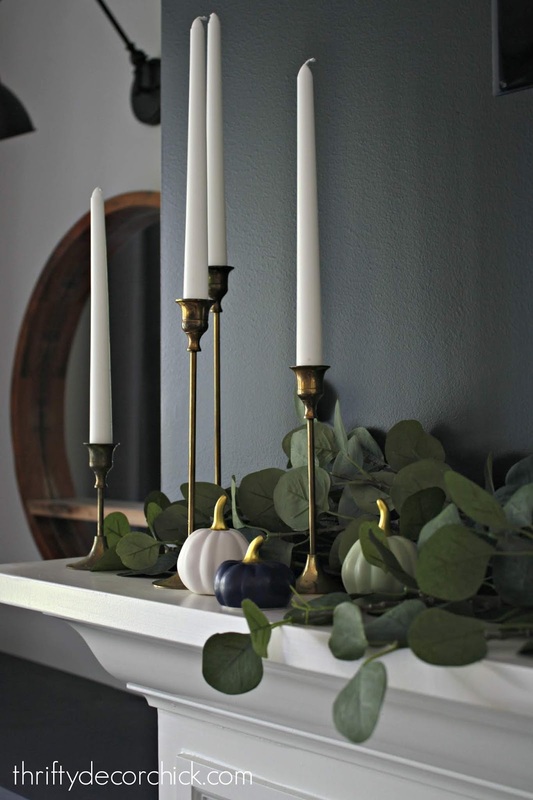 I don't think I've read a seasonal decor post that you haven't said, "this is my favorite one yet" and I completely believe that's true and I always agree. I'm SO glad you let us readers be a part of it! Haha! That cracked me up! Thank you SO much for the kind words. 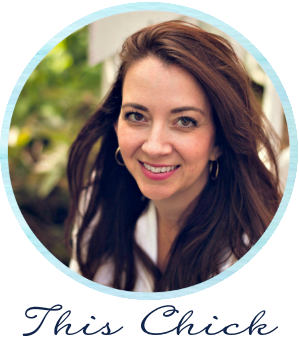 Hi - love your site! Can you tell me roughly the size (length) of your 2 couches in your living room? I see the link for the chairs. 😉 I want to copy the layout for my own living room and am struggling with loveseats vs sofas and overall sizes. Your dimensions seem to work perfectly. Super curious. Sorry to be a pain in the ... Thank you!! I love these non-traditional colors. 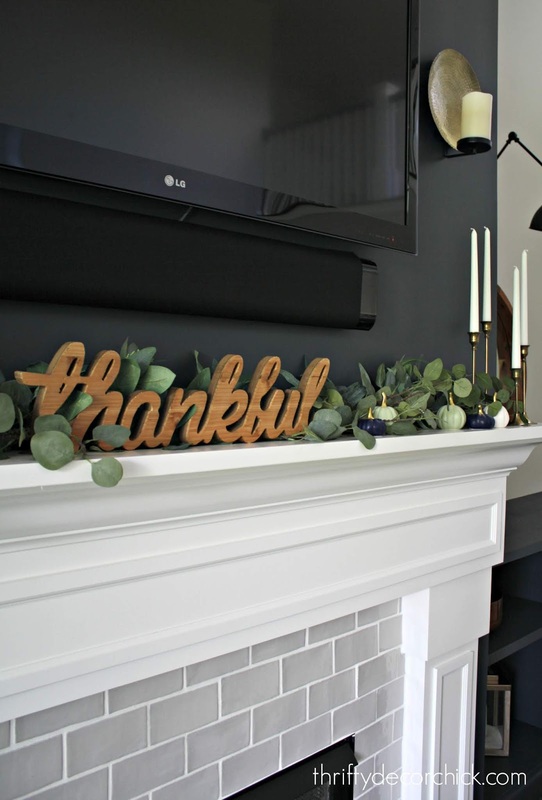 I think the wreath picture would be perfect where its at if you put a small wooden frame around it in the same color as thankful. :) Thank you for the inspiration! I always look forward to seeing what you are doing for each season. 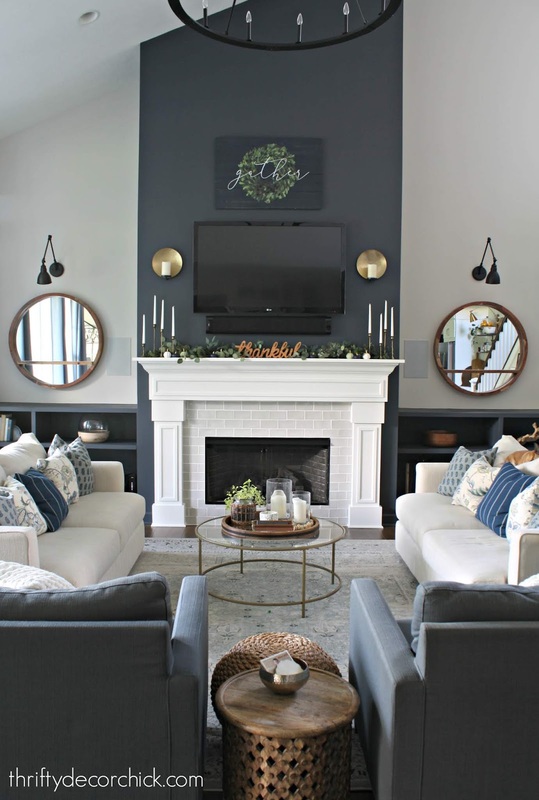 I’m struck by how the left side of your room is a mirror image of the right side, mantle included, but it works. Pretty room! I love this! Love seeing how your style has evolved over the years. 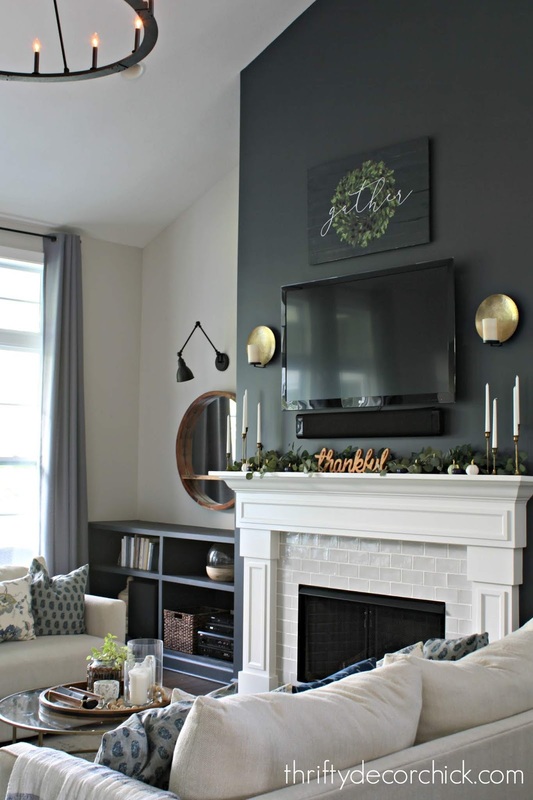 And even though I've seen the pictures of your living room a hundred times, it occurred to me that one reason I love it is because the tv is front and center where we use it, but the paint color really makes it blend in instead of being so obvious.